Starting around the middle of 2017, American introduced the Flagship First Dining concept. These are essentially lounges within lounges. 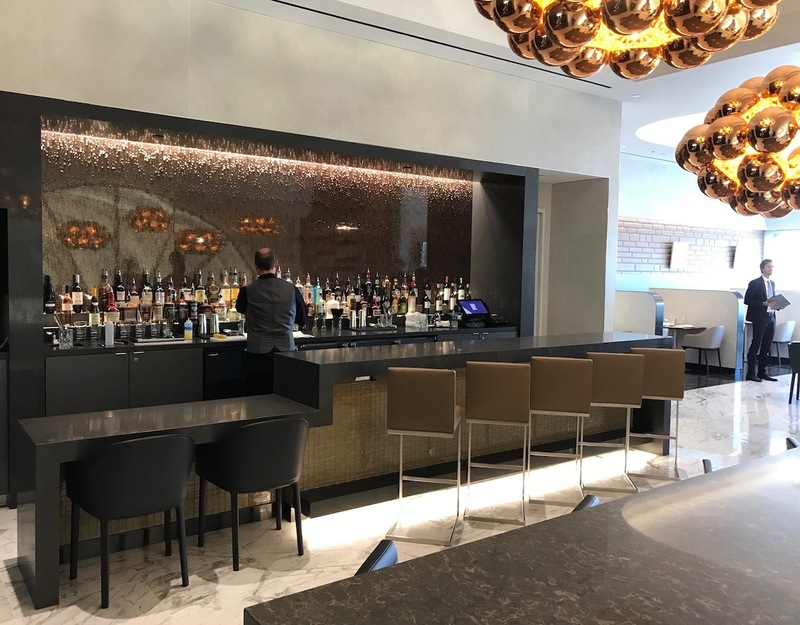 American has Flagship Lounges in Chicago, Los Angeles, Miami, and New York, and they have Flagship First Dining in Los Angeles, Miami, and New York. Flagship First Dining is a tranquil space that offers a restaurant style dining experience. Frankly I pinch myself every time I use one of these, because they just don’t feel like something you’d expect from a US airline. These lounges are really exclusive, in the sense that they’re only open to those traveling in three cabin first class. American’s only planes with three cabin international first class are their 20 Boeing 777-300ERs, and then on top of that they have 17 Airbus A321s that they fly between New York and Los Angeles, New York and San Francisco, and Boston and Los Angeles, which also feature three cabin first class. Since these facilities were introduced I said that I’d be surprised if they lasted in their current form, given how underutilized they are. 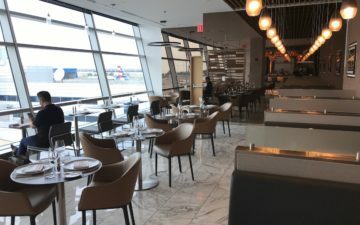 While I can see how this could be somewhat worthwhile in New York and Los Angeles for transcon customers, it surprises me that they offer Flagship First Dining in Miami, where American just has a few flights a day with first class. I haven’t used Flagship First Dining that often, but every time I have, the space has been very quiet. In many ways that’s what makes it so great, because it really is a tranquil space that almost makes you feel like you’re not at an airport. Quite logically, last year American somewhat extended access to these facilities. Last year there were reports that Concierge Key members were receiving emails inviting them to enjoy Flagship First Dining twice over the course of the year. This wasn’t an added published benefit, but rather seemed to be something that they were testing out. Each pass was valid in conjunction with a same day ticket, and you could bring in your immediate family or two guests with you. Concierge Key members already receive Flagship Lounge access on all itineraries, so this was a nice extension of that. While this still isn’t formally added as a permanent benefit, there are reports that American is once again sending two Flagship First Dining invitations to Concierge Key members this year, valid through January 31, 2020. Next time you visit the Flagship Lounge, enjoy our new Flagship First Dining experience — even when you’re not flying in Flagship First. As a ConciergeKey member, we’ve deposited 2 complimentary Flagship First Dining visits into your American Airlines AAdvantage account. It’s our way of saying thank you for being our best customer. This is a nice gesture on the part of American, and a great way to build some goodwill with their most valuable customers. I still think the next move on their part would be to expand Flagship First Dining to Concierge Key members when traveling on international paid business class tickets, or something along those lines. 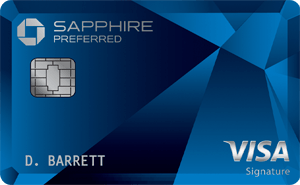 Have any Concierge Key members taken advantage of this last year, and if so, what was your experience like? I have a family member who got this offer. He loved the gesture and was really happy when he got to visit. The best part was that I got to go with him and it was really good, when otherwise i don’t fly AA (i normally pledge my allegiance to Delta). AA’s Flagship Dining is closed in MIA until 1 PM daily due to a lack of flights with true first class in the morning. They probably should have mentioned that in their email. Additionally at MIA they are allowing BA First passengers access to the Dining Room now too. Too bad I’m not there to take advantage of this beautiful offer. How do you qualify for Concierge Key? Flagship lounges are the one thing AA does well. And they are great even without the dining option – the regular food at the ORD location is very good, with help-yourself champagne it’s a good a way to fritter away a few hours as I know. United should follow suit and finally allow Global Services member to use Polaris lounges on transcons and United Clubs domestically without a membership. Don’t forget CX first class passengers are allowed in at JFK as well.